The hock is shin area of a pig’s hind leg. 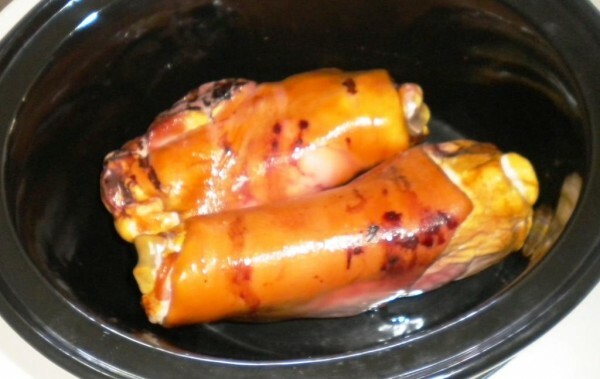 Pork hocks are usually very cheap, because they are an unwanted part of an otherwise delicious animal. This is a part of the animal that has a lot of skin and other connective tissue like ligaments and tendons and very little meat. But when cooked for hours low and slow the collagen turns into gelatine and is delicious and unctuous. 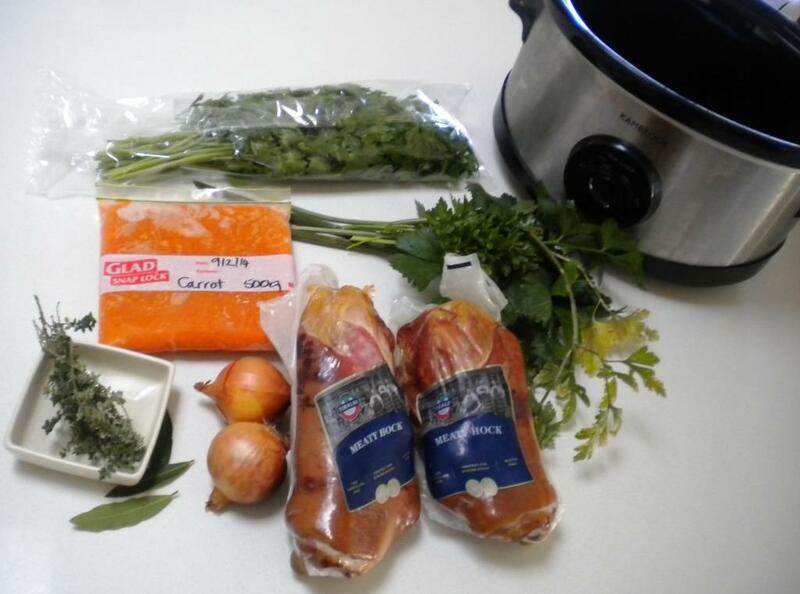 What we’re going to do is cook a pair of pig shins low and slow in a flavoursome stock, and then pull the meat off the bone to press it with mustard, butter and parsley and the gelatine residual in the hot meat will set the entire thing into a solid brick of deliciousness. This stock will end up being one of the most gelatinous you will probably make and will taste like the essence of bacon. It’s perfect as a base for a risotto … except well rice has too many carbs, so you’ll have to do a cauli-otto. Which is a lot better than Ocean Breeze or Orchid rain or whatever that smell is. Ham, Butter, Parsley, and Mustard - these flavours go together so well. 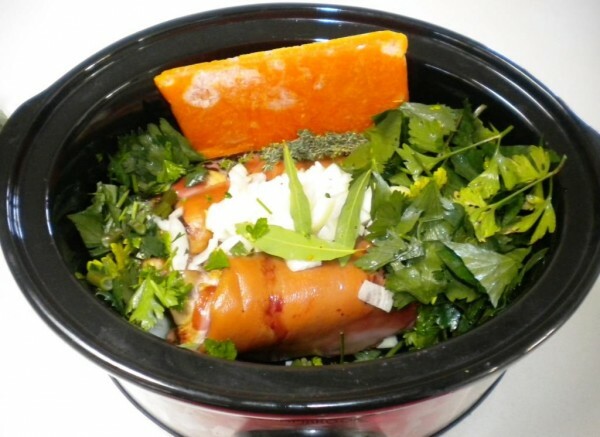 Place the ham hocks in a slow cooker, or crock pot. Add Bay Leaves, Thyme, Chopped Onions, Chopped Carrots (in the photo I am using frozen carrot puree), Chopped Celery and stalks of the Parsley. Add Chicken Stock (we store ours as ice cubes) and/or hot water to cover and cook for 4-6 hours or until the ham meat is falling off the bone. 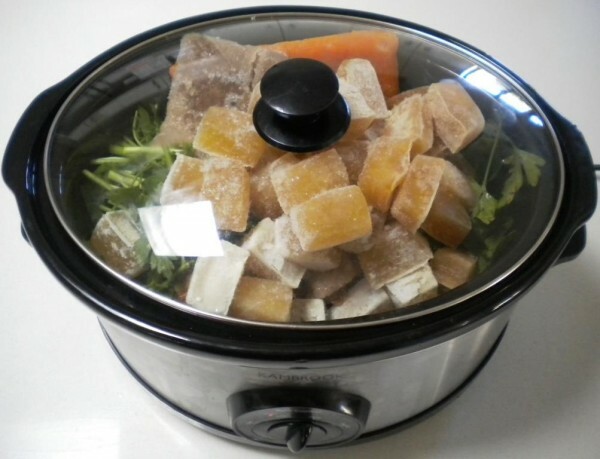 Remove hocks from stock and allow them to cool slightly. 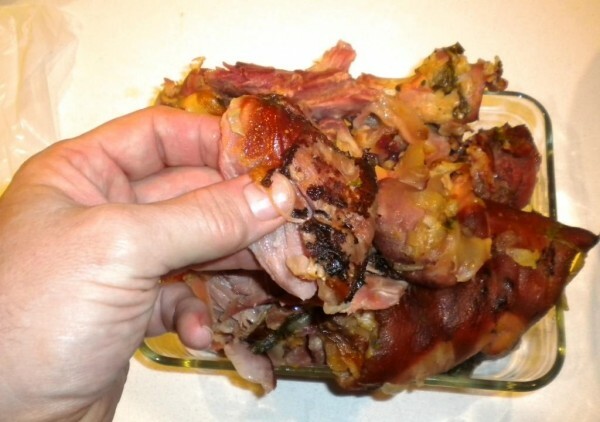 Discard the skin and fat, and pull the meat off the bone while ham is still hot. Put the extracted meat in a bowl and let it cool down. 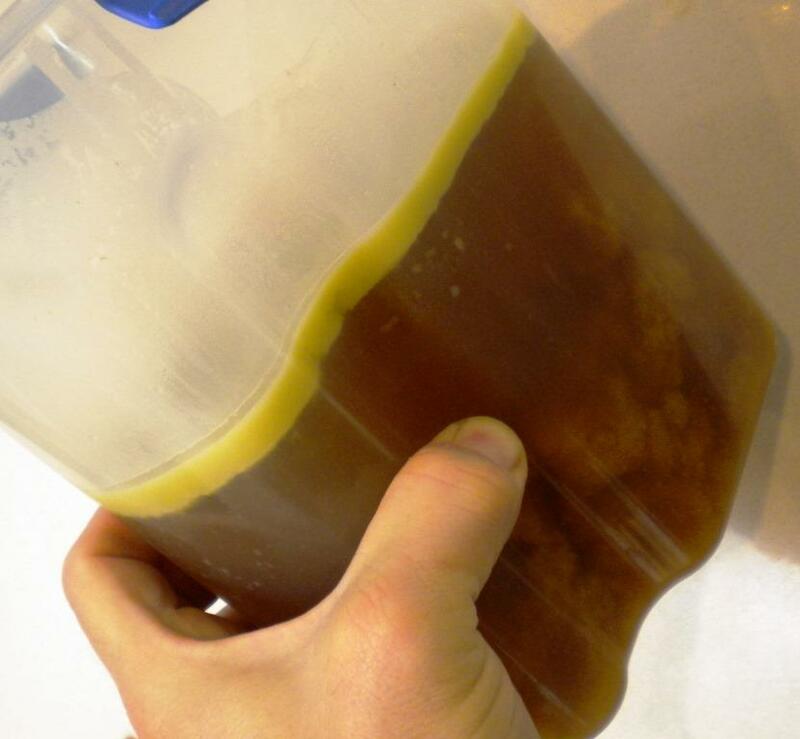 You can put the skin and bones back into the pot and keep cooking it for another day or so then drain off the liquid and save as stock - it is the most gelatinous delicious bacony stock. 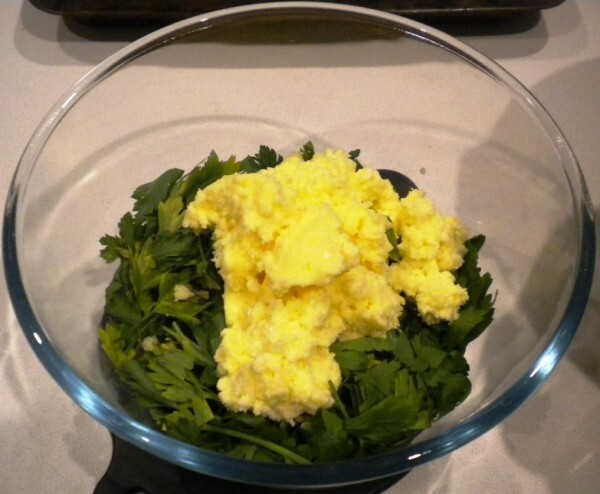 Chop parsley into another bowl, add butter and seeded mustard and mix well. 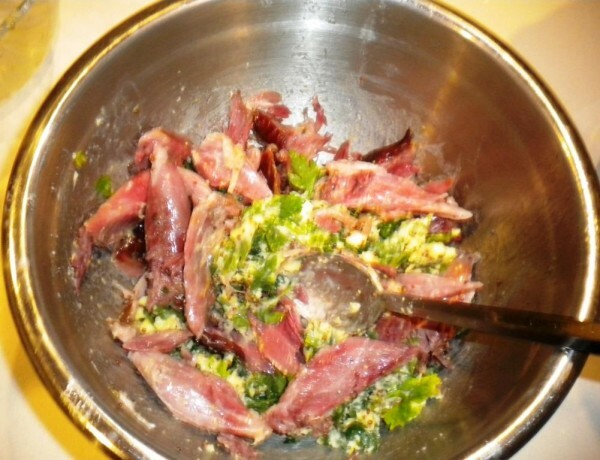 Add hock meat, to buttered parsley mix. Add the hock meat mixture, and wrap the prosciutto back over the terrine, and finally wrap the cling wrap over the top of the prosciutto. 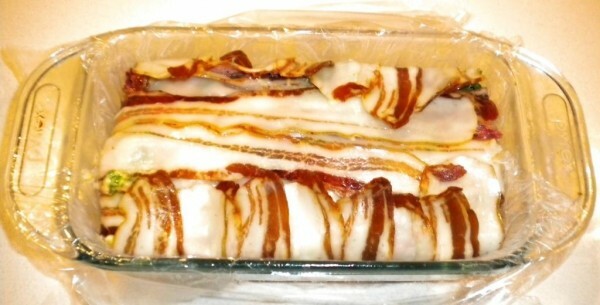 Put some weights on the terrine and leave it overnight in the fridge for the gelatine in the meat to set. 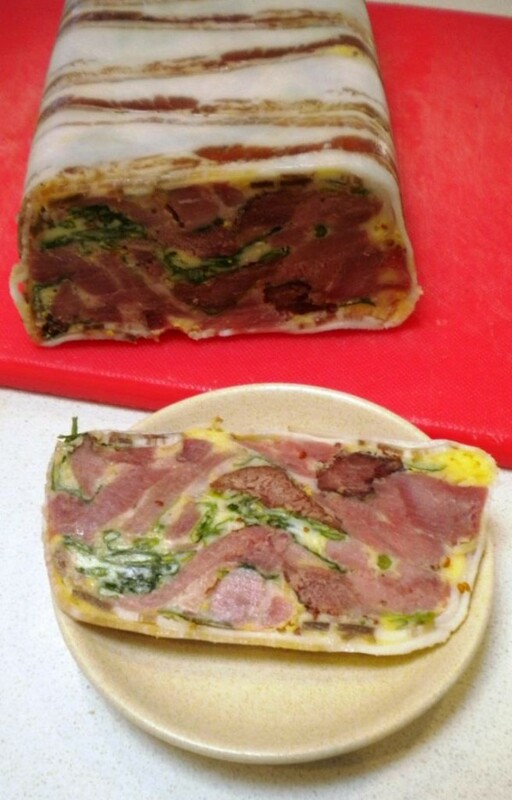 You can use the cling wrap to easily pull the terrine from it's mold, though you may need to warm the outside so the coconut oil spray we put in liquefies. 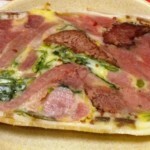 Then you can slice the terrine into 16 equal slices with a wet knife blade. If you are not going to eat the entire terrine you can also just put 15 shallow knife marks in the top so you know where to cut.